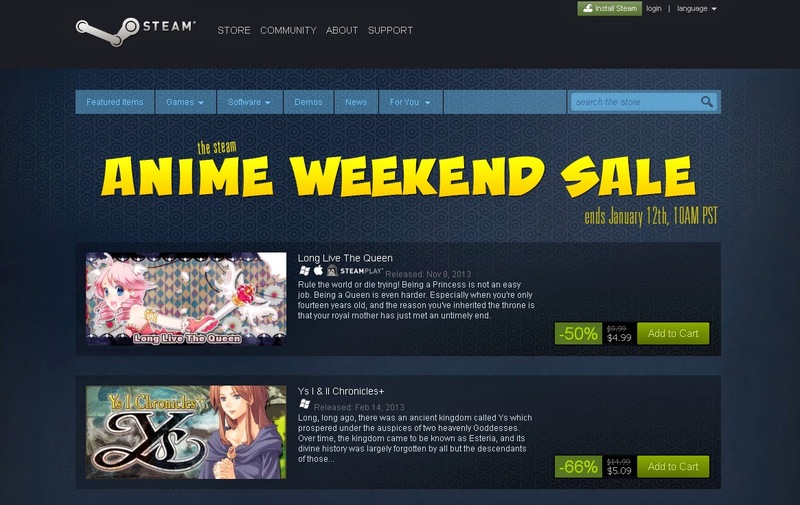 In case any of you didn't see it a few days ago, it appears that Steam is giving some love to the anime and anime-inspired games in their store with an Anime Weekend Sale. The sale goes on until Monday (Jan 12th) and if like other Steam sales, it's the kind of thing you should check on daily to see what new discounts pop up. Damn...there goes any extra holiday money I might have had left.